We may patiently wait for some future event or situation to save us. But this kind of patience is only dreaming. Without the doing, the imagined future never comes. Be patient, but do not wait. Nothing can be found in time. True patience is the patience of creation. If something is to exist, it must first be created! In true patience, you calmly and naturally create from inspiration. You just keep going – day after day, month after month, year after year. You give your best (not more than your best, just your best). You do not think about the outcome; rather, you just enjoy the process of creating exactly what you were meant to create. When the ego creates, it is not patient. The ego gets excited by its illusions of grandeur. It sets huge goals, believes happiness is in the future, then makes great sacrifices. Through sheer willpower, you then give all your energy and work as hard as you can for a short while. Invariably, the ego has doubts, loses patience, and burns out. For every peak, there is a deep valley that follows. You lose faith and give up. Then comes the next high. You start again – miscreating nothing of real value, projecting image, concerned about what everyone thinks, caring only about the end result not the process. The ego seeks but cannot find. Create instead with the unlimited patience of consciousness. In consciousness, you effortlessly create beauty, truth and value. True patience is enjoying the process of doing without the emotional ups and downs. Be patient, because ultimately you get exactly what you give. What you seek is not found in time, but in creation. We continue tomorrow and each day after that. The strong do not attack. When we attack, it is because we perceive ourselves as weak. Attack is a tragic attempt to project strength while weakening the other. In fact, attack only weakens everyone. Attack seems normal and natural, until you come to know your invulnerability as love, consciousness, spirit. Identified with your true self, now you cannot attack or be attacked. Attacking consciousness would be like stabbing at empty space or nothingness – it cannot be touched or injured. When you are only love, all attack effortlessly leaves your life and you are left in peace. But in the unawakened (egoic) state of being, our confused and fearful minds do attack. Thus, we weaken ourselves by generating suffering, depression, exhaustion and illness. Now we do feel weaker than others, so again we attempt to level the playing field by attacking. But in so doing, only conflict ensues and we weaken ourselves further. To awaken is to know that spirit is real. Love is real. Consciousness is real. You are not your mind; rather, the observer of the mind. To attack is to believe in thoughts, or in physical form, and in the power of negative emotions and pain to teach. In truth, attack teaches nothing real. What have you ever been taught through attack? Let it go. No attack. No defense. No judgement. Just stillness. We continue tomorrow and each day after that. You do know love, but the ego does not. Do not ask the ego to find what it is responsible for losing. A sharp mind is sure it knows what love is and how to get it. It is entirely consistent in its strategies, which consistently fail. Always seeking to get from the other, always blaming the other when this delusional strategy fails, the ego soldiers on incapable of seeing the insanity from within the perspective of insanity. 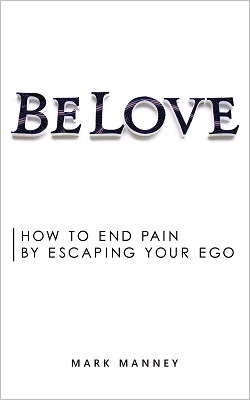 There is only one way for true love to fill your life — which is the undoing of the ego’s power. Accept what is, fully and unconditionally, and do not take your thoughts seriously. To believe that your thoughts are you is to generate a drama of emotions such as fear, jealousy and want. But observe your thoughts casually, from the perspective of a deeper knowing, and you create gaps in your stream if thought. Through these gaps, love fills you and becomes your ongoing state of being. Love only arises from a state of total humility, complete surrender, unconditional trust and acceptance. This is the state of no ego, the state where only perfect love remains not as something you receive, but as what you are and everyone in your life is. Go deeply into the present moment in peace. Let your meaningless thoughts go. We continue in love tomorrow and each day after that. All power is in union. Therefore, we fully accept what is between us. We effortlessly come together harmoniously and without any conflict. We are blind to our differences, which are always trivial and ultimately meaningless. Seeing only the truth in each other, we respond to tragic cries for help with true help. We recognize that there is nothing of value to be found in separation from our brothers and sisters. To choose separation is to make yourself ill by denying your spirit. Spirit is what connects life with life. It is the unobservable energy that makes us one with the universe. To cut yourself off is to choose suffering and death. But to embrace union is to experience perfect love. Always choose to trust – never in the ego but in spirit. When ego does present itself, never respond by burning a bridge or slamming a door. Ugliness is not the loving response to ugliness. End your problems by offering irrational, unconditional, pure love to everyone at all times. This doesn’t mean that you allow others to take advantage of you. You don’t have to give exactly what you are being asked to give. Look past the ego’s confusion and respond to the deeper need – which is always of the soul, of spirit. We continue tomorrow and each day after that. If the tone of your communication with anyone is anything less than loving, then this can be easily and instantly changed. All forms of attack or insult directed at you are desperate attempts to activate your ego or, as Eckhart Tolle sometimes calls it, your pain body. Babies cry when there is an unmet need. Unconscious adults attack for the same reason. Would you respond to a crying baby by shouting back, or by trying to understand the need and respond lovingly? The way to respond to any brother or sister in need is no different. Look past the cry for help and focus attention only on the level of needs. Your love cannot be attacked. Only your ego can believe it has been insulted. This activates the pain body, which becomes frustrated, angry, filled with jealousy or revenge. But love, which is only concerned with giving, never feels slighted and takes nothing personally. Respond to all attack in love, not with the emotional, out-of-control pain body. When a person sees that he cannot activate your pain body, that it is not present within you at all, he will immediately feel insane and will either immediately walk away or shift the tone. Tempers cool, cool minds prevail, peace endures. Respond only in love, seeing nothing of the ego as real. Let spirit remove the perception of all sins. If you want perfect healing, abundance, freedom and love, then you cannot see evil in your brothers and sisters. To perceive it in them is to make it real for you. Look past wrongdoing, seeing your brothers and sisters only for what is real within them. Like you, they want to be loved and understood. They want to feel safe. They want to feel good, to laugh, to smile, to trust. They want the freedom to have their own experiences, to make their own mistakes, to experience the reality of their own dreams. Offer all your brothers and sisters the freedom to respond to their own intuition and to chart their own course. Offer only loving acceptance. Teach not through attack but only in love. Connect only in perfect understanding of the deeper need. Share your heart and know theirs. Teach love, presence, consciousness without any expectation of a result. Create for them. Serve them, if only with a smile. See only the deeper needs in your brothers and sisters and respond only to this. In so doing, you heal not only them, but yourself. Do this and illness within you becomes impossible – for you have removed the cause of sickness from your reality. If you have any doubts, try it for yourself. Be your own experiment. What do you have to lose? We continue tomorrow and each day after that. “If you believe in both truth and illusion, you cannot tell which is true.” Truth is that which is both unchanging and the same within each of us. Live here fully, in all your being and all your doing. Illusion, on the other hand, is that which is projected from the unconscious or egoic mind. It is the dream of form. Accept it, do not fight, but never for a moment believe that any of it means anything. “Opposites do not exist.” The unconscious mind is constantly telling you what is good or bad, but you do not know with any degree of certainty what is good or bad. Better to say yes to all of reality, knowing that whatever is happening is supposed to be happening. Accept your bliss as well as your challenges as simply what is. No labeling. Unconditional acceptance is the condition for total knowledge and perfect peace. “This is the condition of knowledge.” Knowledge is beyond the labeling of good and bad. Knowledge is calmly accepting everything in peace and responding in love. Meditate to find gratitude for your blessings and the unemotional calm to respond to challenges directly. Challenges are there only to push you back into the depths of knowledge, to test your faith, to strengthen your presence so that your light can shine more brightly. All that is done in love is perfect. Doing only this is complete knowledge. “Only reality is true, but do you believe it?” Reality is formless, eternal, within you and all around. It is love, consciousness, being, inspiration, intuition, presence, stillness. Have faith only in this and let go of the idols of form. All quotes from A Course in Miracles. We continue tomorrow and each day after that. An act done in love is without sin. That said, the same act done without love is sin. Sin has nothing to do with what a person does, only to do with how it is done. What is in your heart? What are your intentions? Are you loving and serving your brothers and sisters or are you trying to manipulate and exploit? Embrace love in everything you do and you will no longer miss the mark. True love cannot and does not harm. It really is that simple. Learn what true love is, what it does, and simply choose to become it. Be love and do whatever inspires you. We continue tomorrow and each day after that. All strategies to isolate yourself are failed strategies of a suffering egoic mind. The ego seeks refuge in separation as a response to the suffering it generates — which it projects as the fault of the other. But isolation creates even more egoic suffering in the form of boredom and mind self-chatter. It no wonder why you see so many Instagram posts about “boundaries” and “toxic people”. This is a person who first seeks isolation, then reaches out to the world to talk about it. To be alive and happy is to participate fully in life. But what about dealing with challenging people? Engage fully in life and do not isolate yourself. Open yourself to others completely, but in love not ego. In love, or presence, or consciousness, no human interaction can be painful. Nothing is taken personally. You don’t care about judgments. Attack isn’t real. Nothing negative touches you; rather, healing flows from you.